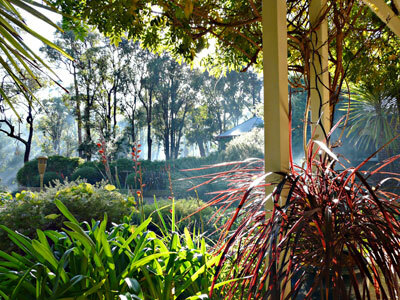 Country Charm Retreat Bed & Breakfast is nestled snugly in a peaceful setting of 44 acres, surrounded by lovely gardens flowing into the beautiful natural bushland in Argyle, just 8km north of the township of Donnybrook. 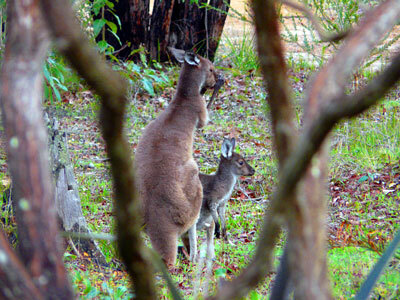 Walk in our natural bushland at sunset or dawn and watch the kangaroos grooming, or just sit in the surrounding gardens and watch them pass by, along with the colourful birds at play. We encourage you to stroll around the property and experience it's tranquil ambience, watching a rich array of wildlife, or just sit back and relax in the gazebo sipping a glass of local wine, taking in the peaceful surroundings and listening to mother nature at it's best. Also worth a visit is Gnomesville at Ferguson Valley, or Wellington Dam. There's often a selection of fresh fruit in season along the way. Donnybrook is a former goldrush town. First settled in 1842, it is a pleasant 2 1/2 hour drive South from Perth. 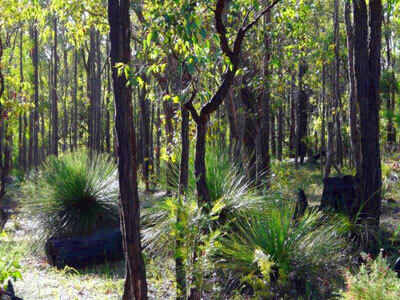 Donnybrook is located ina truly picturesque and rural setting. Renowned as the epicenter of fruit and vegetable growing, it is also located in the heart of the 'Geographe Wine Region'. For the wine lovers, there's the charming and award winning boutique wineries close by, along with the local galleries, potters and artists. In the town, you can view gracious stone buildings, shades of years gone by. Within the town you can enjoy a picnic or bbq, or relax in the country style cafés or tearooms. Donnybrook is a daytrippers dream where you can visit the surrounding towns of Balingup, Busselton, Bunbury, Collie and Bridgetown for a pleasant outing. Please follow the links below to websites that may be of interest to you in planning your getaway.